A well groomed brow has the power to boost our confidence and help our eyes pop! 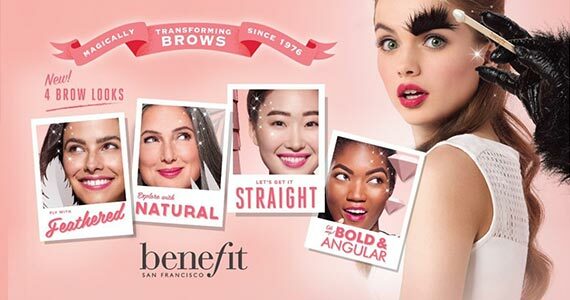 Benefit wants to help bring out-of-shape brows back to full-figured beauties. On your birthday they will give you a free brow arch (a $20 value!) so your brows can go from drab to fab! Your free Benefit Brow Arch service is available at select Benefit BrowBar Beauty lounge locations, so call your local BrowBar for more details.